Internet Exclusive Offer: Recieve 10% OFF of your SERVICE CALL! Since 1988, River City Appliance Service has been the go-to and local source for appliance repair in Grand Rapids, MI. Our highly skilled technicians have the expertise and the experience to help you with any appliance repairs, from Refrigerators to Washing machines. 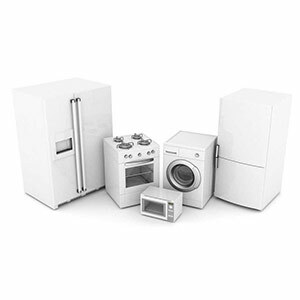 At River City Appliance service, we have been your local, full service appliance repair specialist for Washers, Dryers, Refrigerators, Ovens, Stoves, Ranges, Freezers, Dishwashers, Microwaves and other small appliances for over 20 years. With so many expertly completed jobs behind us, our specialists are proud to offer high quality workmanship and thorough repairs in a wide range of capacities. We are able to service and repair units from all of the top brands including Whirlpool, Maytag, Frigidaire, Kenmore, and More. We proudly serve all of Grand Rapids, MI and the surrounding areas. Let us help you with all of your appliance service needs today. We are a licensed business in the State of Michigan, insured to assure quality. Our specialist can repair or service any and all of the major appliance brands like Whirlpool, Maytag, Frigidaire, Kenmore, and More. We specialize in all types of appliance maintenance, including Oven repair in Grand Rapids, MI.